She's a pastor. She's a nurse. She's a civil rights activist. And now she's cemented her place as a modern feminist hero. 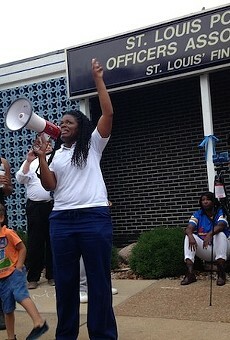 Cori Bush is coming for a Missouri congressional seat and she intends to fill it. Proudly. The CD-1 Democratic candidate made a bold, confident post on social media over the weekend about celebrating her body shape and owning her power. Bush is running against long-time incumbent U.S. Rep. William Lacy Clay Jr. (D-St. Louis). An activist who's a familiar presence on the front lines of protests in the city, as well as an outspoken progressive, Bush recently saw her campaign bolstered by last week's stunning victory notched by her contemporary (and friend) in New York City, Alexandria Ocasio-Cortez. 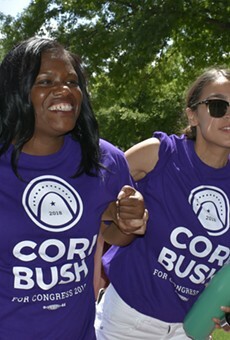 Running on a platform of "jobs, justice, and Medicare for all," Bush says she intends to use her experiences with racism and sexism "as fuel to fight for the disadvantaged, the disenfranchised, and the voiceless." This single mother has endured homelessness, sexual assault and domestic violence — so are some comments about her curves going to scare her into backing down or changing her style? Not a chance. "As a candidate I’ve heard my hips are too big, and not just from trolls," she wrote on Facebook and Twitter yesterday. "'Wear dark pants.' Well, I look like women in my district, who I serve. If elected, ALL OF THIS goes to Congress. Hips can’t legislate but maybe they should! NO BODY SHAMING #WomenInPolitics! #thesehips Deal with it." The trolls came for Bush after she received a high-level endorsement from comedian Chelsea Handler. In a tweet to her 8.79 million followers, Handler sang Bush's praises. The (misspelled) replies to Handler's tweet were swift, stupid and predictably sexist, but Bush just took those lemons and made lemonade. Nice try, trolls. If you want to vote for Bush or any other candidate in the Missouri primary on August 7, you have to be registered to vote by next Wednesday, July 11.